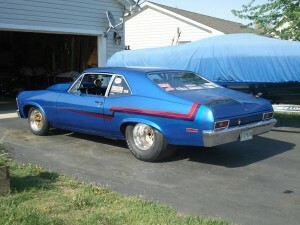 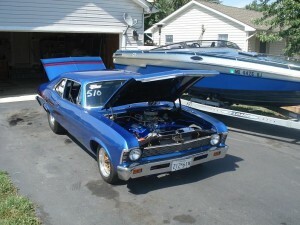 Lee was 60 years old when he started his 1972 Nova pro street car and he finished the car in just three years. This Nova features a 468 big block with 10.5:1 compression, Brodix heads, Team G intake with custom built 950 cfm carb, 16 gallon fuel cell, MSD 6AL box with MSD distributor and more! 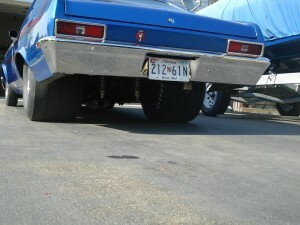 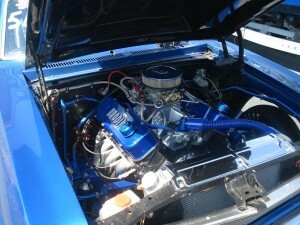 The engine is backed by a TH400 with 3500 ATI stall converter and 4.86 Ford 9 inch rear. 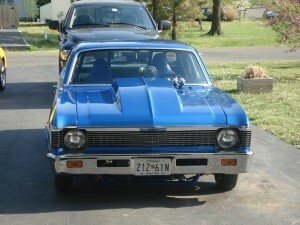 The Nova looks as good as it runs with a candy apple blue subframe, weld wheels, and Hoosier tires.